NextVR is a force in the live broadcast industry. They’ve been flirting with that distinction quite a bit this year, but their recent developments solidify their position in the market. The company live broadcasted the US Open, partnered with Notre Dame for a live showing of one of the home games, and set up a full schedule of live broadcasts for the NBA through the NBA League Pass subscription system. They’ve done it all through immersive VR, giving viewers up-close-and-personal experiences when they otherwise wouldn’t have been able to attend. If you’re not quite sold on the fun of a virtually broadcast sporting event, you can strap yourself into the VR seat for a free basketball game tonight. The free trial program with NBA League Pass originally included a matchup between the San Antonio Spurs and the Sacramento Kings and it was extended to include the November 1st matchup between the Los Angeles Lakers and Indiana Pacers. Once again NextVR and NBA League Pass are extending VR content during the trial period with tonight’s game between the Phoenix Suns and Portland Trail Blazers, at 7 p.m. Pacific. This inclusion in the League Pass subscription is an introduction to regular VR broadcasts and could potentially spill over into other similar programs like NFL Game Pass and MLB Extra Innings. If the popularity increases, we could potentially see teams start to offer VR packages to fans as well. Even though that may conflict with getting physical bodies into stadiums, it’d be a good initiative for fans that are abroad or just simply can’t travel as much. 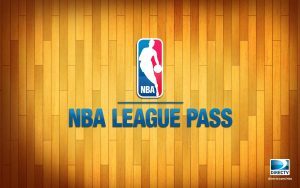 If you haven’t signed up for the trial, NBA League Pass is available for a flat fee of $199.99 or five installments of $44.99 if you want to watch multiple teams, and $119.99/$26.99 to follow one specific team. The package includes League Pass VR and all 30 teams will have VR games throughout the year.